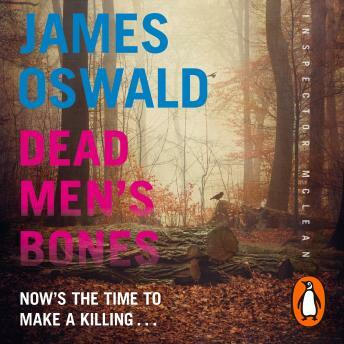 Penguin presents the new unabridged, downloadable audiobook edition of Dead Men's Bones, the new gripping thriller from James Oswald. For Inspector Tony McLean, this apparently simple but high-profile case leads him into a world of power and privilege. And the deeper he digs, the more he realises he's being manipulated by shadowy factions. Under pressure to wrap up the case, McLean instead seeks to uncover layers of truth - putting the lives of everyone he cares about at risk . . .